We’ve harped, at length, about the virtues of a free and fair internet. 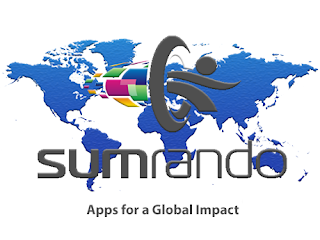 In fact, the freedom to use the web safely and anonymously is among the founding principles of SumRando. In the past few years, we’ve seen, among Western nations, hundreds of efforts to limit, alter or otherwise unbalance the internet we’ve come to know. But here’s the thing. The MPs, senators, chairmen and prime ministers suggesting these damaging changes have almost universally promoted these modifications from a position of good will. As much as it might be nice to vilify some of the morons who think DNS blocking and hyperlink censorship is a way forward, the fact is, they’re generally good people trying to correct an existing injustice. But what if that wasn’t the case? What if our leaders used the greatest communications platform the world has ever known to control and manipulate us? What if a free exchange of ideas was replaced with a party-sponsored propaganda machine where any exchange could be monitored by an authoritarian regime. What if this has already begun? 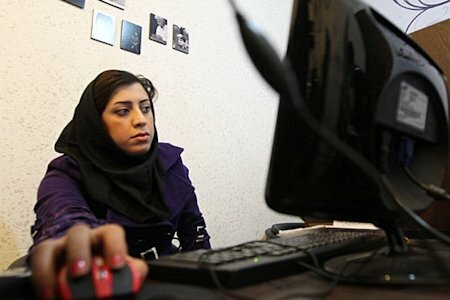 Just this past weekend, Iran’s Ministry of Telecommunications announced new regulations that forbid domestic communications firms, financial institutions and insurance firms from using email services like Gmail and Hotmail. Instead, these institutions will be allowed only to use the domain .ir for email and hosting. Furthermore, entities wishing to communicate with any of the affected institutions are now required to use addresses ending with iran.ir, chmail.ir, or post.ir. Officially, the Ministry says the rules being implemented aim to curb the exposure of sensitive information to foreign entities that might do harm to national interests. 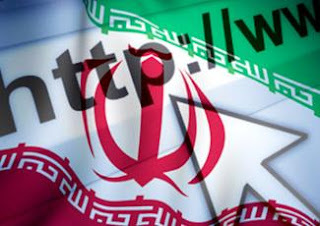 However, these claims come after a report in April when Iranian minister for Information and Communications, Reza Taghipour said Iran intends to completely replace access to the world wide web with a national intranet by August. In the original plan, the intranet would be rolled out in two phases. Phase one was planned to be implemented in May and said to include the replacement of foreign email and search clients with services like Iran Mail and Iran Search Engine, leaving the majority of the internet still accessible. Sound familiar? The second phase was scheduled for April, when all access to the internet will be replaced by the state-run network. While recent moves aren’t as aggressive as the original plan (Iranian citizens still have full access to most services), they do follow the same line of national censorship. Currently, the Iranian government denies plans to replace the internet entirely. They maintain that the recent regulations have been implemented solely to combat information leaks. But this denial is coming from a regime with a long history of online censorship and interference. About 36 million of the 75 million Iranians use the internet, allowing electronic communication to play a vital role in the Green Party protests that shook the 2009 “re-election” of President Mahmoud Ahmadinejad. Since then, the government has cut internet connections, reduced connection speed and announced that social media platforms like Facebook and Twitter are anti-Islamic. It’s not exactly a stretch to imagine a move to complete censorship. The fact is, the free, instantaneous exchange of ideas provided by the internet is a threat to regimes that seek absolute control. By controlling transmission, authoritarian regimes hope to curb the rising voices of revolution. And while it’s not clear whether Iran will move forward on blocking access to all of the internet, it’s safe to expect increased censorship and restrictions in coming months.